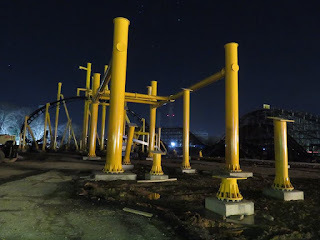 Home Article Kennywood's Steel Curtain Rises. 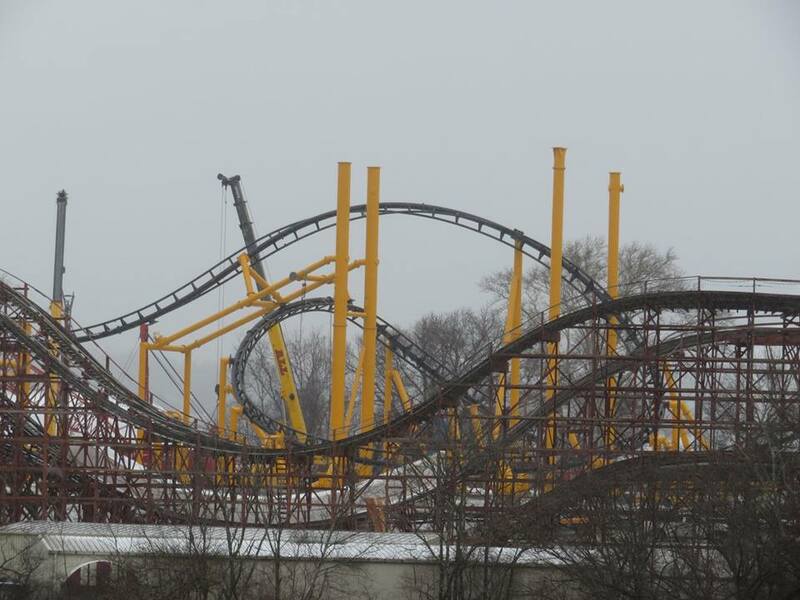 Steel Curtain's steel is rising quickly! 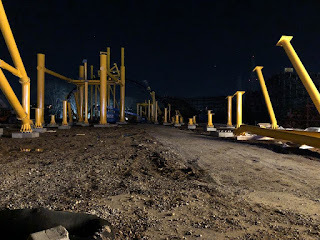 Pictures found over on Facebook by Kennywood Connection show the quick progress that Kennywood is making on their record-breaking roller coaster. 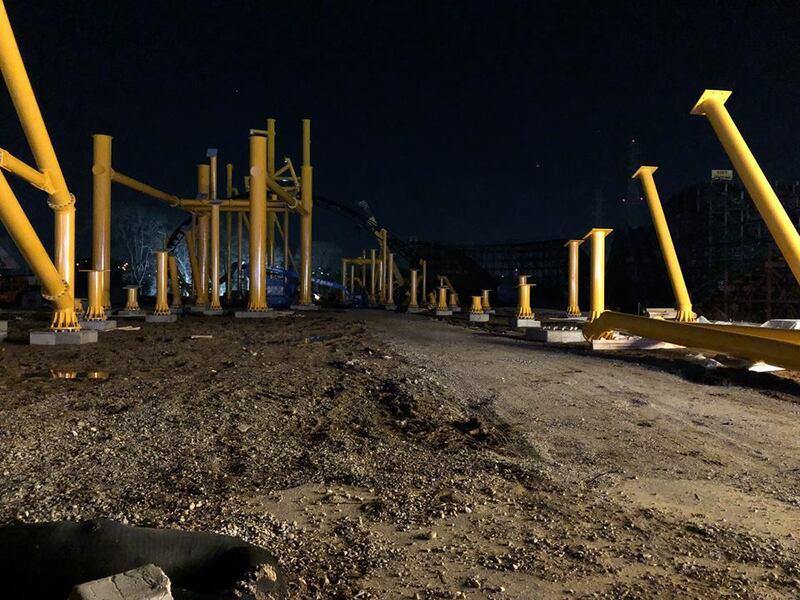 The 220-foot wall of steel supports and track is themed after the popular Pittsburgh Steelers NFL team and is replacing the Log Jammer log flume. The ride reaches speeds of 75mph, and takes riders through 9 inversions. 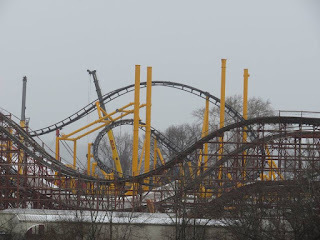 Steel Curtain will be the tallest coaster in Pennsylvania, have the most inversions on a roller coaster in North America, and will have the tallest inversion in the world. Alongside the new coaster, the park will open a new themed area based on the Pittsburgh Steelers named "Steelers Country." A new eatery and climbing wall are planned to accompany the ride in the newly redone section of Kennywood.